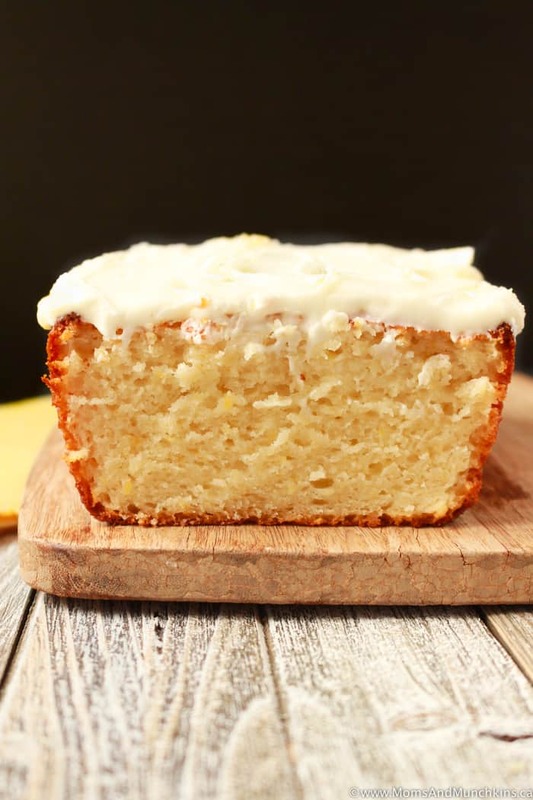 The thick layer of icing on top is optional but I love the extra boost of lemon flavor that it adds. 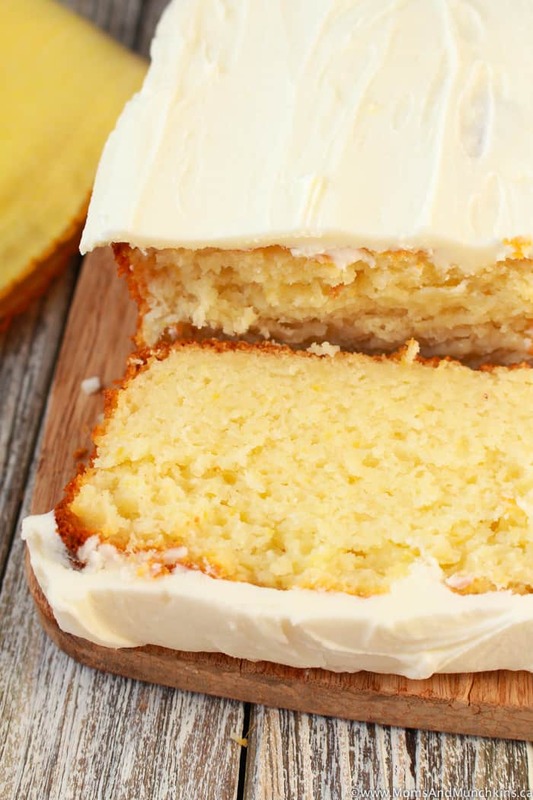 The lemon frosting is optional but I love the extra boost of lemon flavor that it adds. Grease one 9 inch loaf pan. 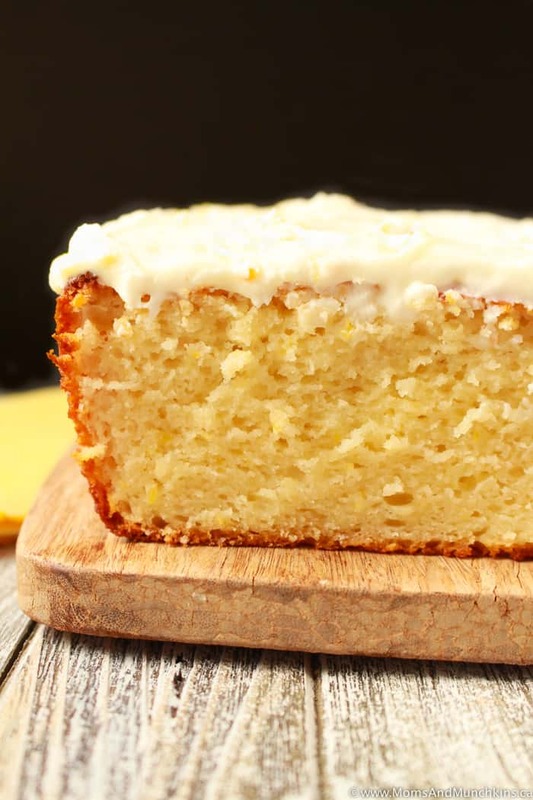 In a separate large bowl, whisk together sour cream, eggs, granulated sugar, lemon zest, lemon juice, vanilla and vegetable oil. Once wet ingredients are well mixed together, add in dry ingredients and whisk well until combined. Bake for 60 minutes or until a toothpick inserted in middle comes out clean. 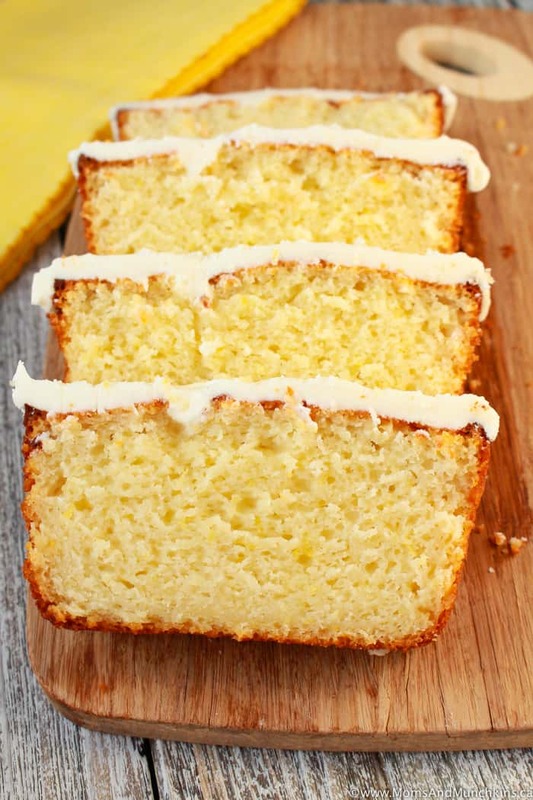 Whisk together lemon juice, butter and powdered sugar until well mixed. Spread over cooled loaf. 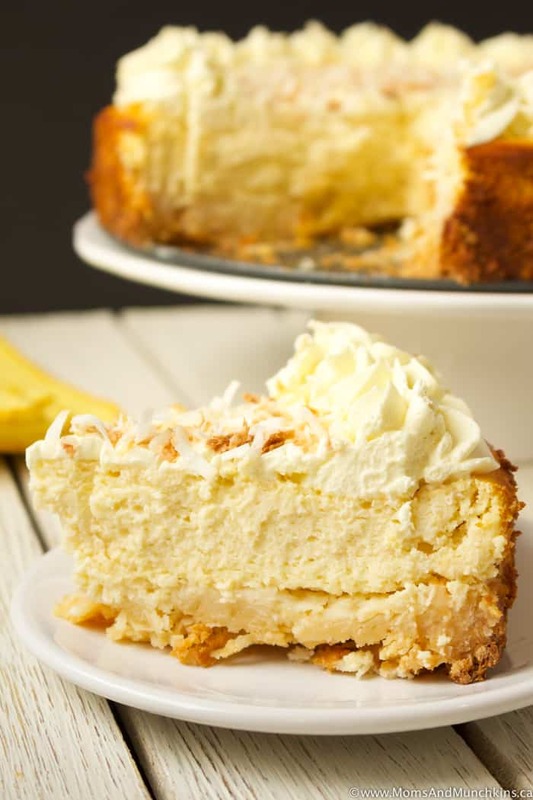 Lemon Coconut Cheesecake – a delicious chewy coconut crust topped with creamy lemon cheesecake. 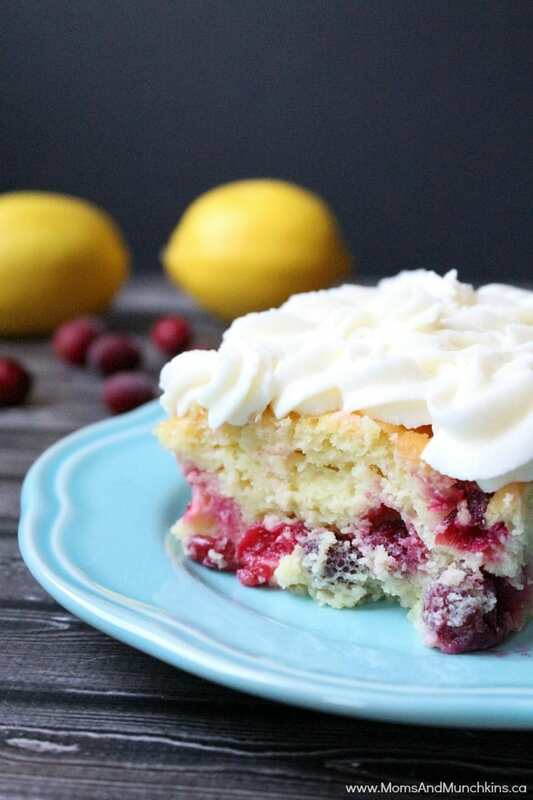 Lemon Cranberry Cake Recipe – this starts with a boxed cake mix so it’s super easy to make. 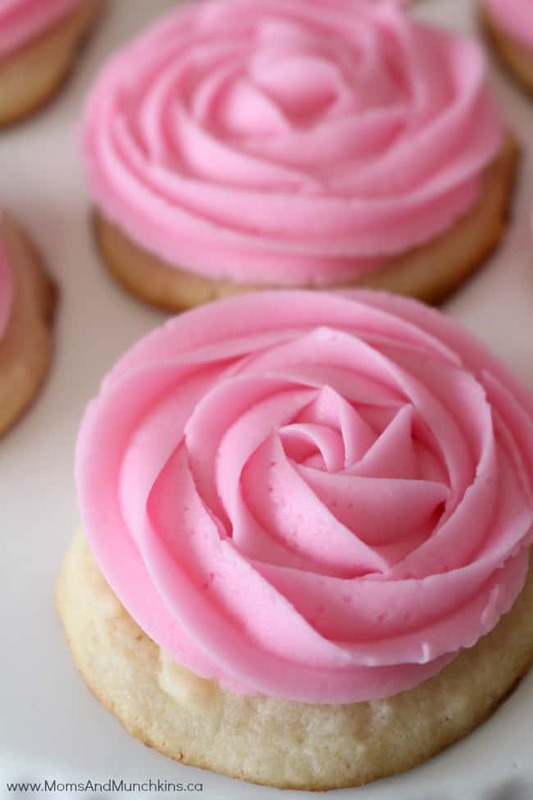 Pink Lemonade Cookies – mixing it up a bit here with a sweet pink lemonade cookie and frosting. You’ll find more delicious ideas on our recipes page. Stay updated on the latest ideas by following us on Facebook, Twitter, Instagram and Pinterest.